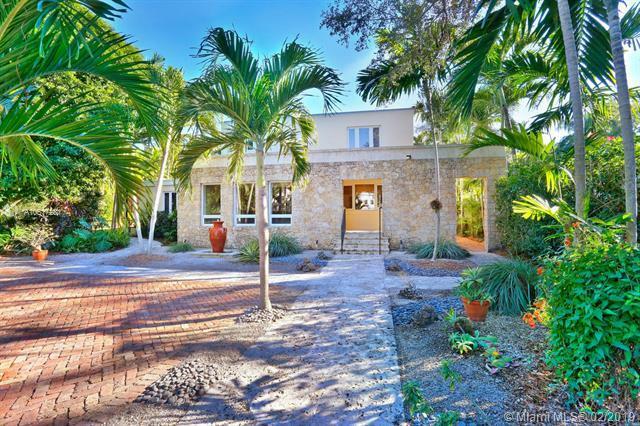 Architecturally unique home with striking coral rock facade, located on a quiet street in South Coconut Grove. 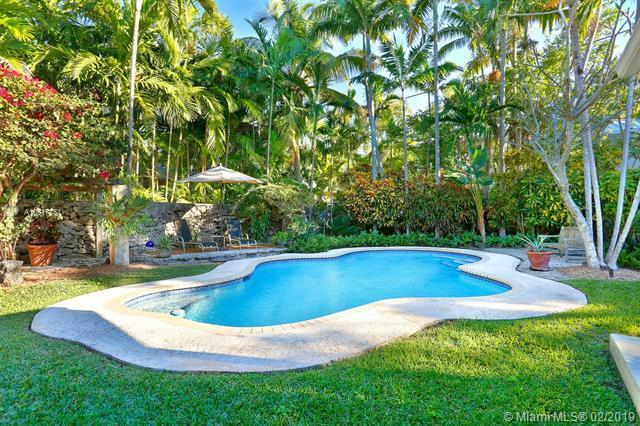 The residence is walled, gated and surrounded by 14,000 SF of lush, tropical grounds. Renovation, restoration & expansion in 2005 by acclaimed architect Max Strang. Light-filled, expansive living spaces featuring grand foyer, formal living & dining, breakfast area, family room and den +office. 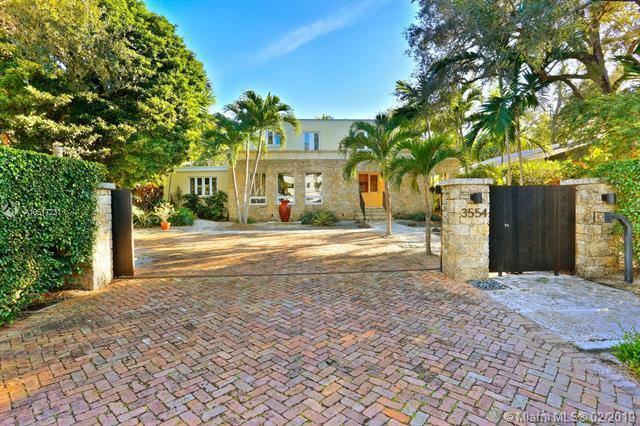 Exquisite interior details include gleaming hardwood & terracotta floors and custom millwork/built-ins throughout. 2nd level master suite features over-sized walk-in closet & separate sitting room/office with fireplace. 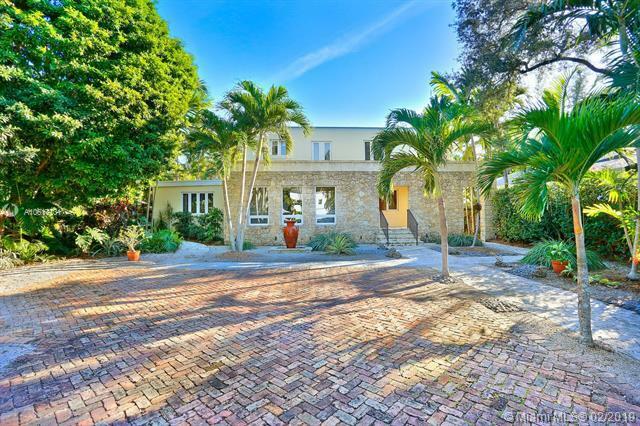 Enjoy year-round outdoor living & entertaining on the oversized "Old Florida style screened porch that overlooks the ultra-private, magical garden and serene pool.